Sluggish consumer spending over the Christmas period could decimate independent liquor venues, according to some industry members. Economists tipped interest rates to rise in October but according to Reserve Bank governor Glenn Stevens, rising inflation and weak credit lending by the banks ensured rates remained steady. Economists now say interest rates will increase before Christmas, which may affect the level of consumer spending over the December period. CONFIDENT: Phil Harmon hopes the stronger dollar will lead to an increase in sales over Christmas. Fremantle pub Moondyne Joe’s manager Chris Peos said he doubted the Christmas season would improve on last year’s slow sales. Mr Peos said hotels and pubs were still reeling from the global financial crisis and that patrons were spending the same as they did during the peak of the economic downturn. “2009 was the first time in 26 years I have gone backwards,” he said. Australian Hotels Association spokesperson Doug White said tourism could affect hotel patronage during the holiday season. “It’s very hard to pinpoint whether we will see a downturn or if we are going to see an upsurge,” he said. According to the International Monetary fund, the Australian economy is strong, but hospitality insiders say their their industry is not growing. Mr Peos said a lack of government stimulus and the prospect of another interest rate rise in November could hurt vital Christmas trade. “The past three months have been very quiet,” he said. Mr White said packaged liquor purchases were also causing issues in the hotel industry. “We’ve seen a trend over the past decade develop that 70 per cent of liquor consumed in Australia is off premises as opposed to being drunk on licensed premises,” he said. “There’s definitely a real advantage to the consumer to bulk purchase from retailers and to take them home and there’s obviously no restrictions on how they consume it. 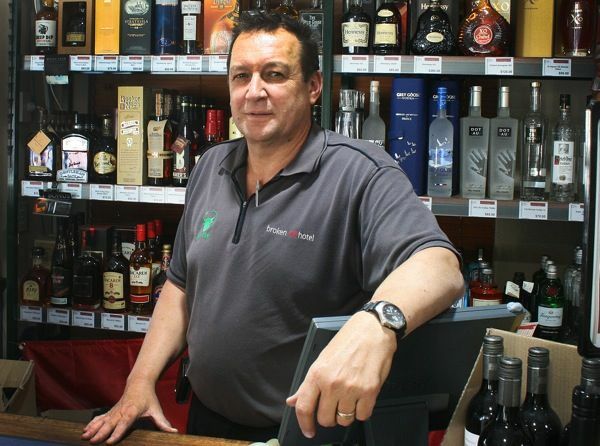 Broken Hill Hotel Bottleshop manager Phil Harmon said Christmas trade this year would be stronger than last year, despite uncertainty over the economic climate. “I’m more confident, certainly than last Christmas,” he said. He said he believed that consumers would get better value this year, with the strong Australian dollar decreasing the price of imported beer and wine. “The liquor industry is almost like a primary industry in terms of cycles, and it will bounce back. It’s just a matter of time,” he said.